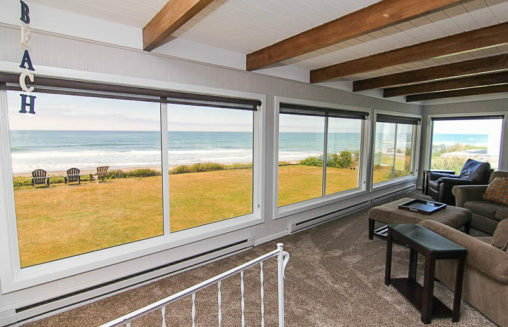 This beautifully updated home invites you to do more than look at the ocean—it gives you several ways to get outdoors to enjoy cool breezes, the sound of waves and your bare feet on the beach. 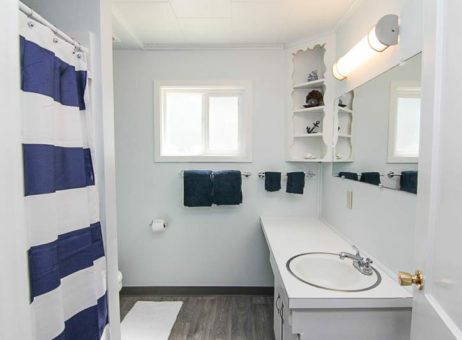 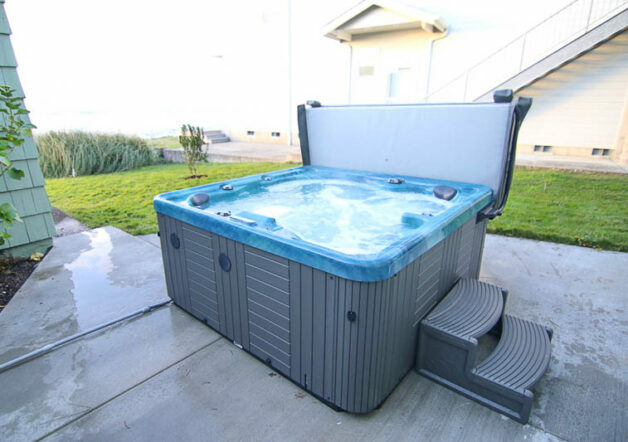 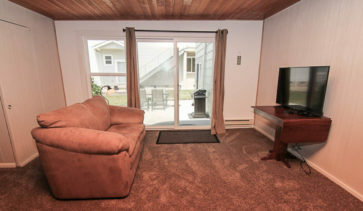 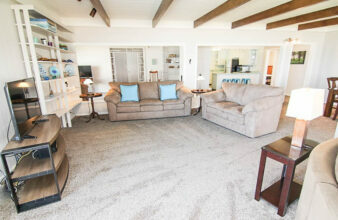 The house is comfortable, roomy, clean and all amenities provided. 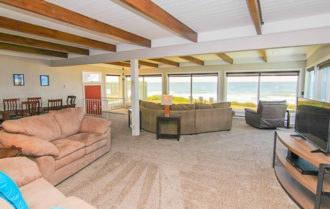 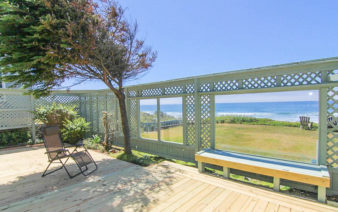 The view is really a million dollar view, and the beach access easy and great. 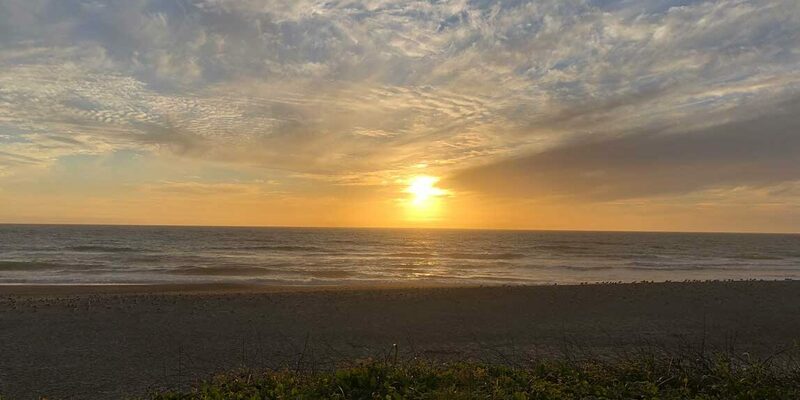 It was relaxing time, just watching the ocean. 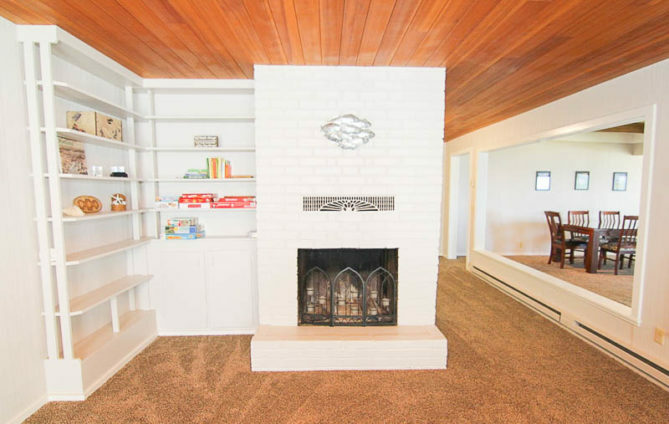 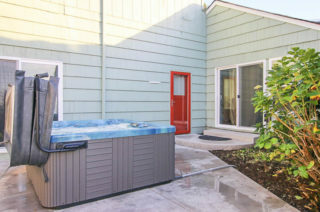 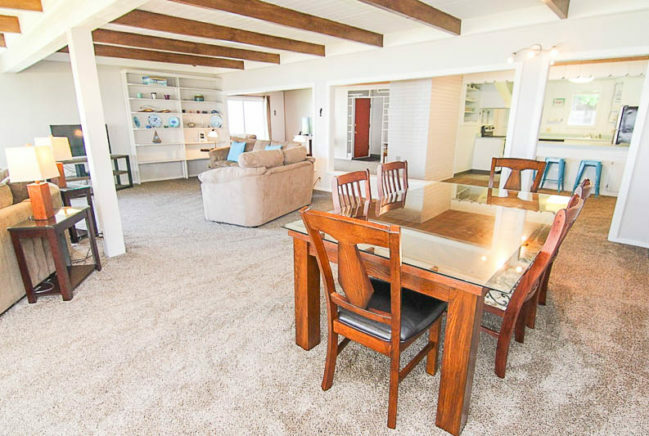 A bonus room with TV opens to a patio with hot tub. 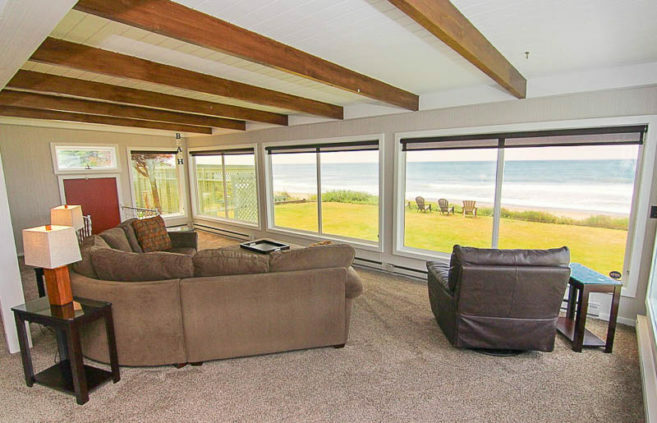 A door from the living room takes you to a huge wooden deck for sunning behind a glass wind-screen wall. 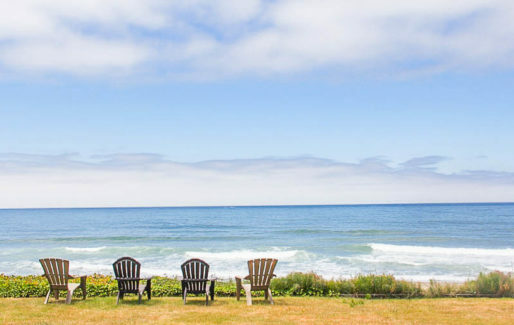 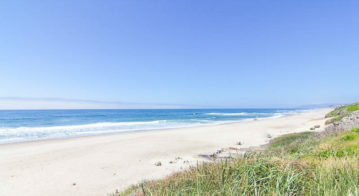 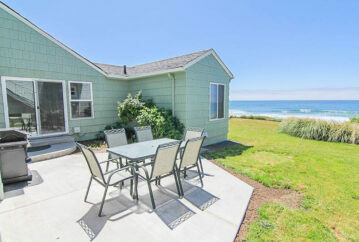 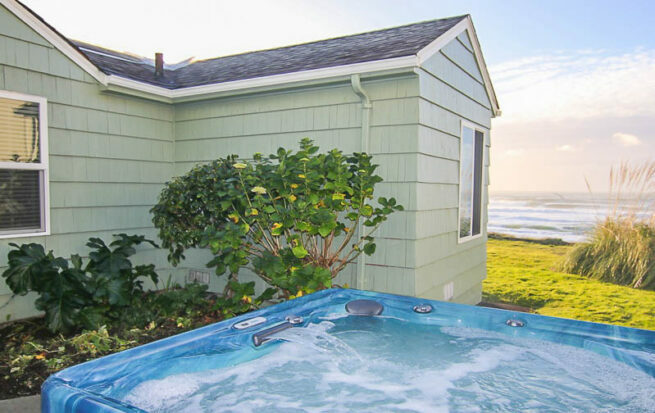 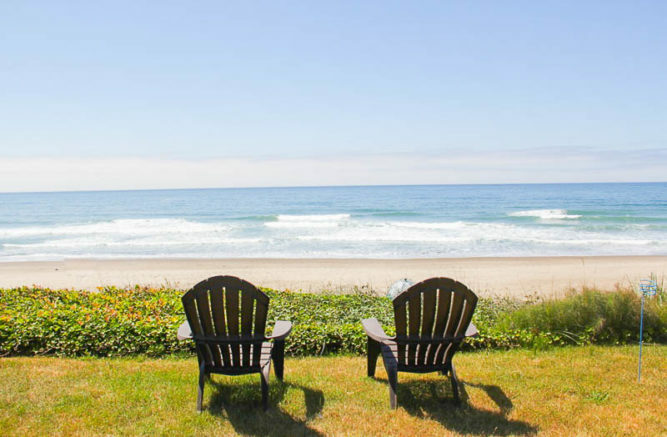 That area adjoins a vast expanse of lawn complete with Adirondack chairs for a sweeping view south to the rocks of Fogarty Creek Point and north to hazy Cascade Head, with a sparkling horizon of ocean, surf and sand in between. 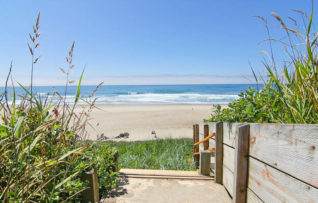 A concrete ramp from the property leads to a few stairs and a sandy slope right to the beach, so the kids can run seamlessly from games on the lawn to digging in the sand. 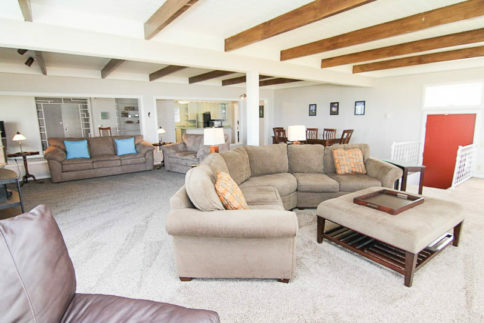 Indoors, some of your guests will love the contemporary sofas and chairs facing west for views from the living and dining rooms; others will love escaping to the two additional entertainment areas, a cove of sofas gathered around a big-screen TV and that bonus room in an adjoining room with its own TV. 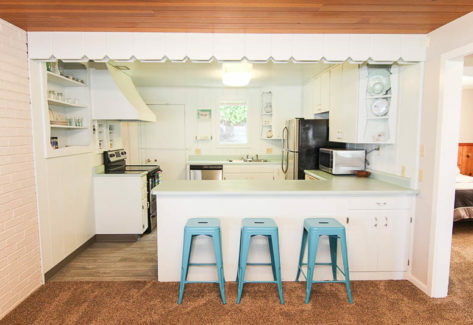 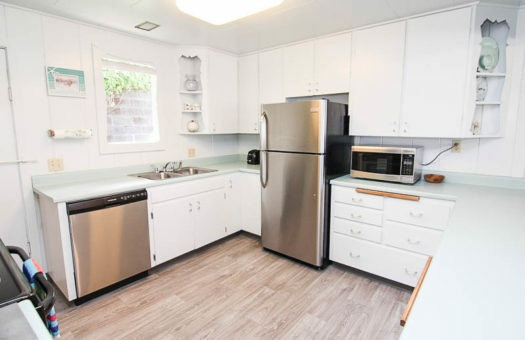 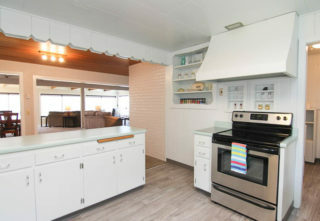 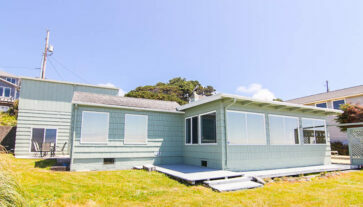 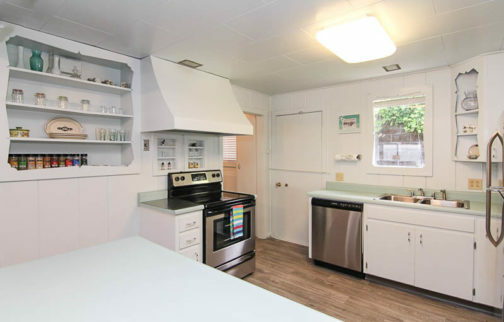 You can see the ocean from the charming, fully equipped kitchen, which has retained sweet period touches alongside updates that make it fresh and functional. 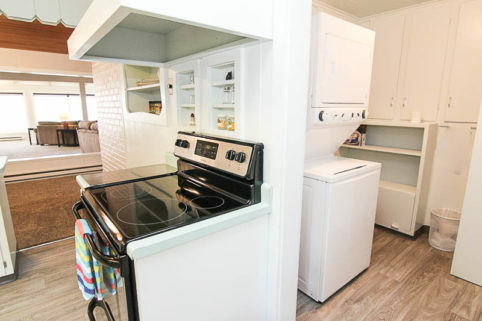 A washer/dryer is easy to access in an adjoining room. 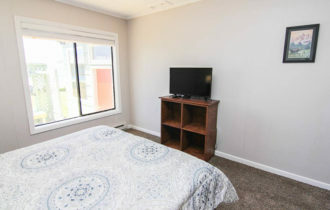 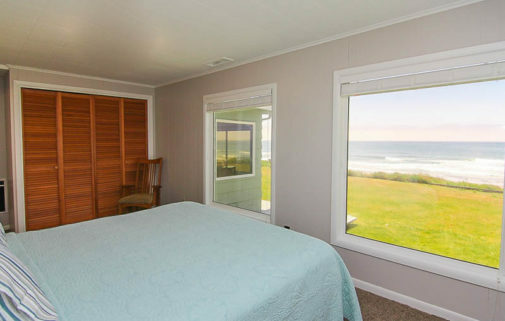 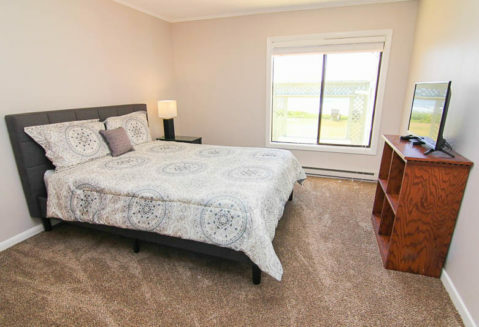 The bedrooms include two queens, one with a TV and ocean view, and a spacious king bedroom with a half-bath with ocean views and light from both west and north facing windows. 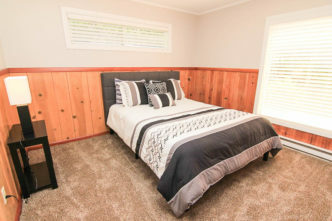 The home is on a quiet residential road, and its below-road-level placement down brick steps to a garden courtyard just increases the quiet and privacy you’ll enjoy. 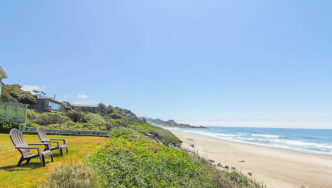 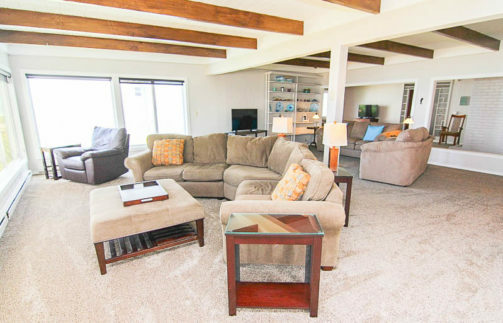 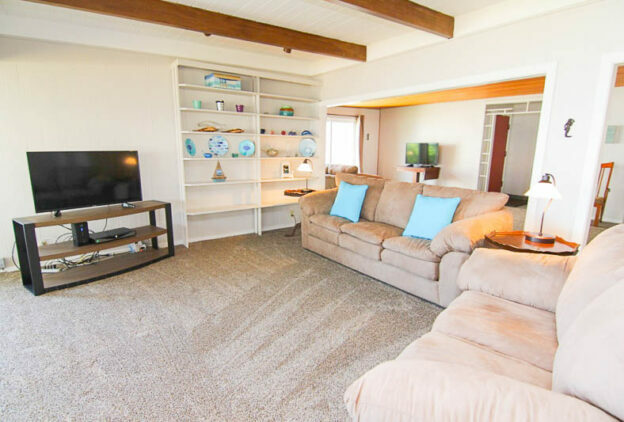 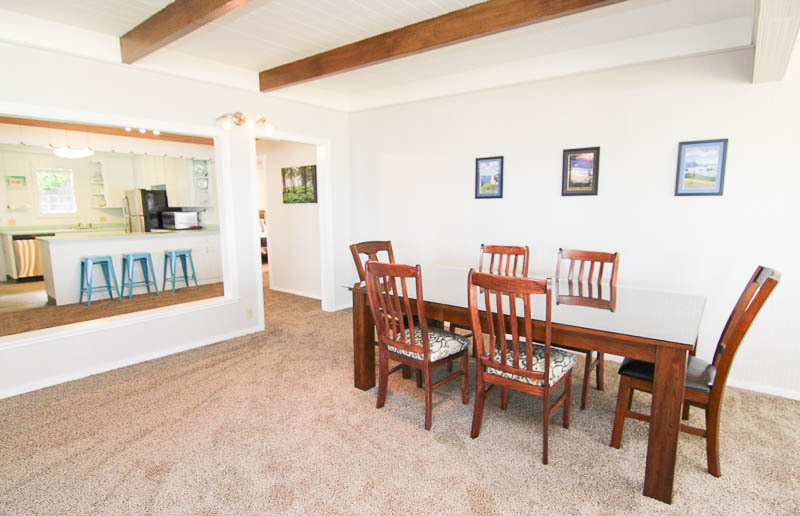 Lincoln Beach location gives you quick access to Highway 101 for grocery and shopping, golf or spa time at Salishan Lodge, or a sumptuous lunch at the Side Door Cafe. 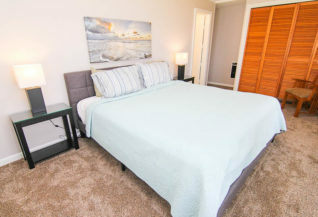 With many shopping and dining choices just five minutes down the highway, you’re centrally located giving you many exciting opportunities to explore. 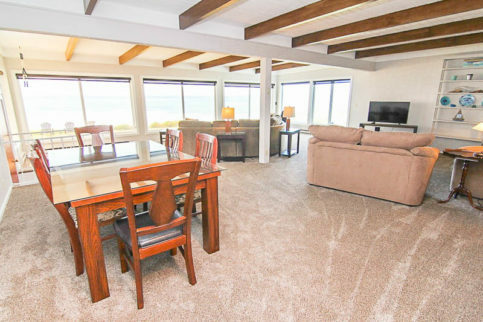 Don’t wait—come for the million-dollar view and find out how relaxed you’ll feel after a stay in this spacious, private home!